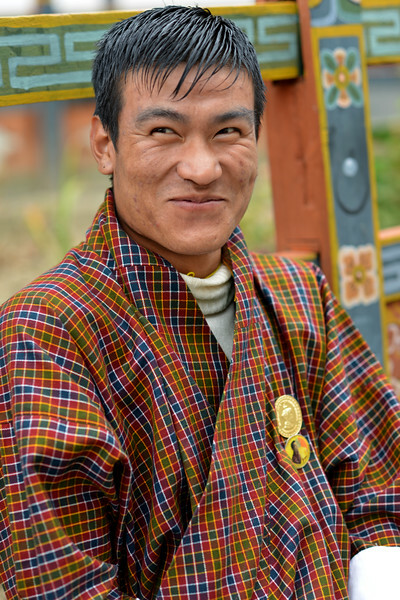 Bhutan (Dzongkha: འབྲུག་ཡུལ་; Wylie: 'druk yul; Nepali: भूटान). 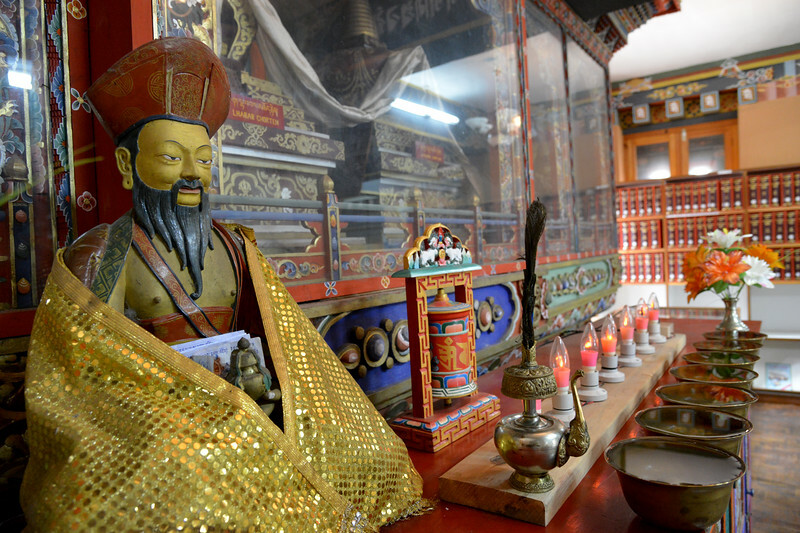 Thimpu, the capital of Bhutan, has a colourful weekend market and quirky shops, museums and landmarks like the National Memorial Chorten, built by the third king His Majesty Jigme Dorji Wangchuck. 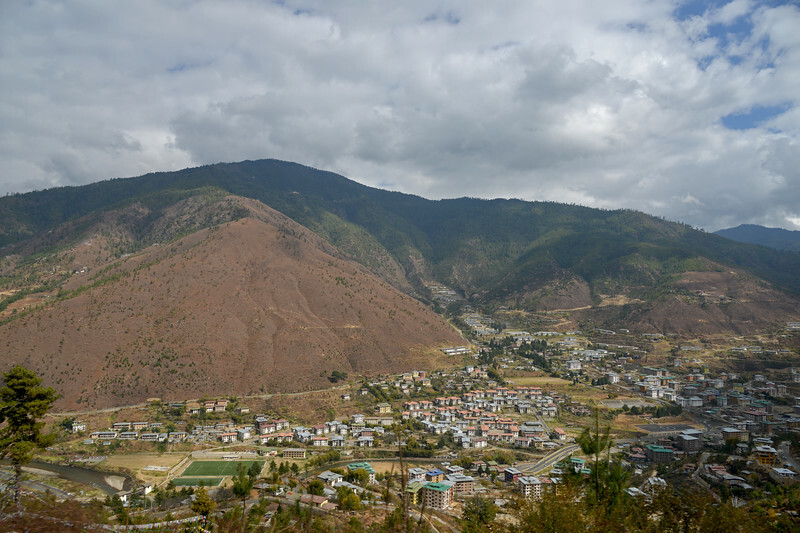 This small city was established as the capital in 1961 and is famous for being the only capital in the world without traffic lights! 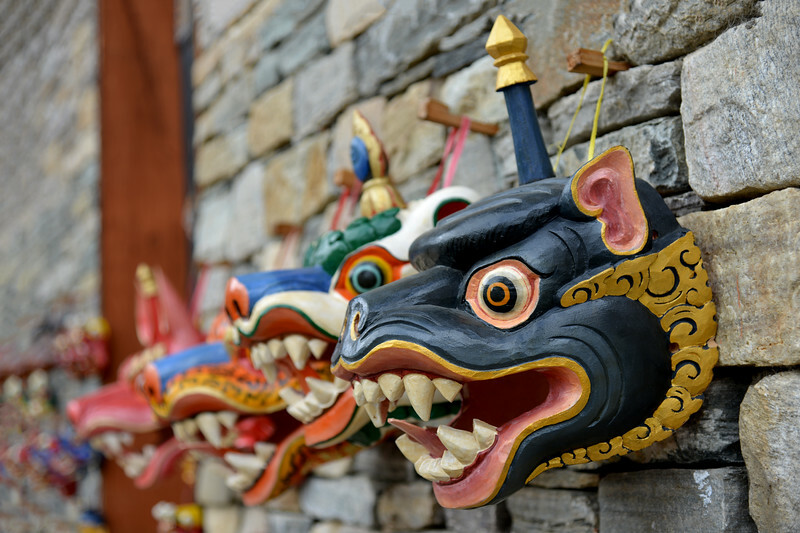 Bhutan - the land of the thunder dragon is also a land from a different time. 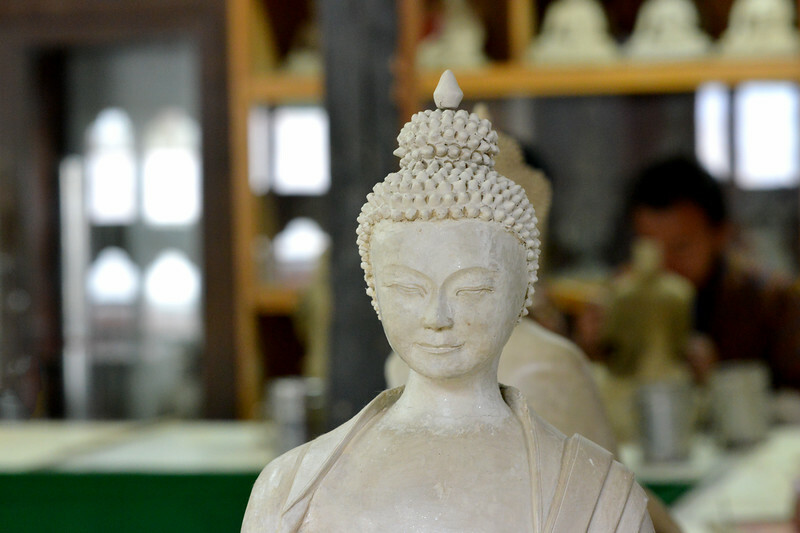 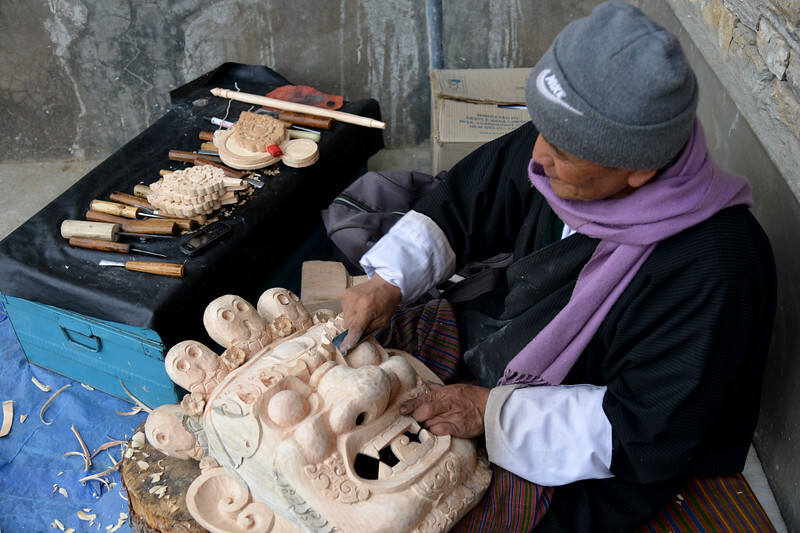 Steeped in tradition and culture the only way to truly appreciate it is by visiting it. 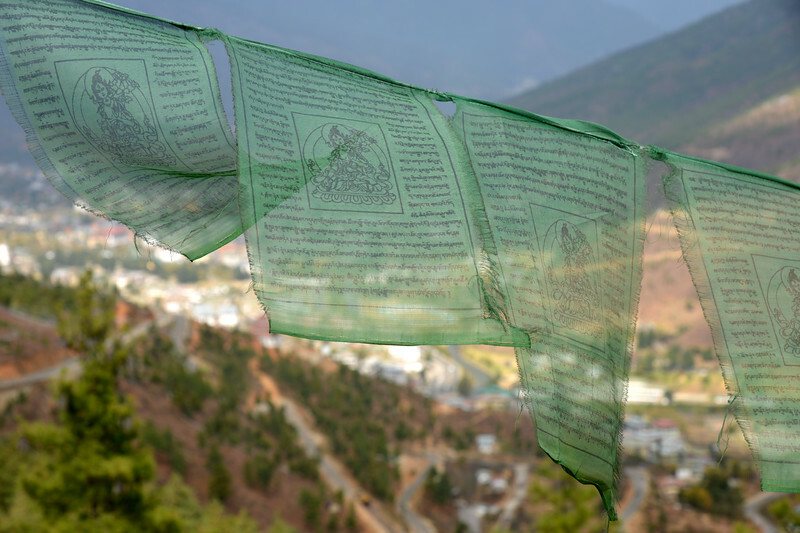 "The land of the Thunder Dragon" - Druk Yul, as its called in Tibetian is indeed, the Last Shangrila protected by the mighty Himalayas from the rest of the world. 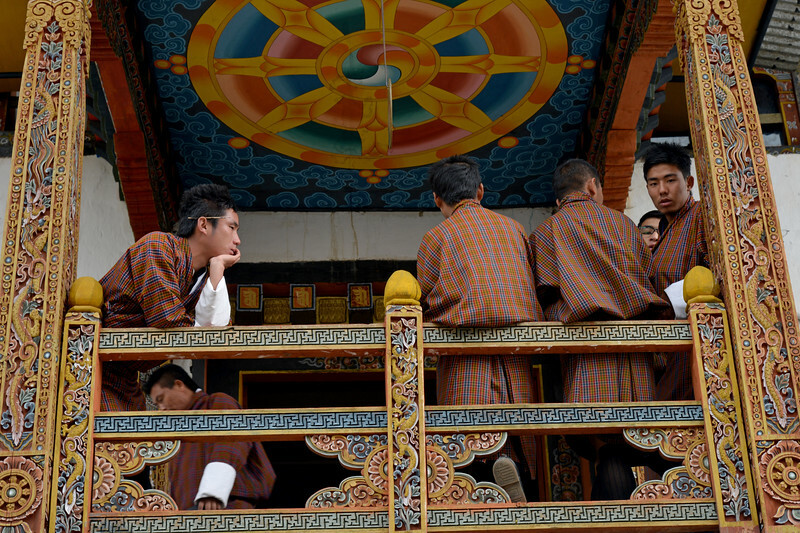 Bhutan is only country where the Monarch rule is still in existence and the Kingdom is blissfully untouched. 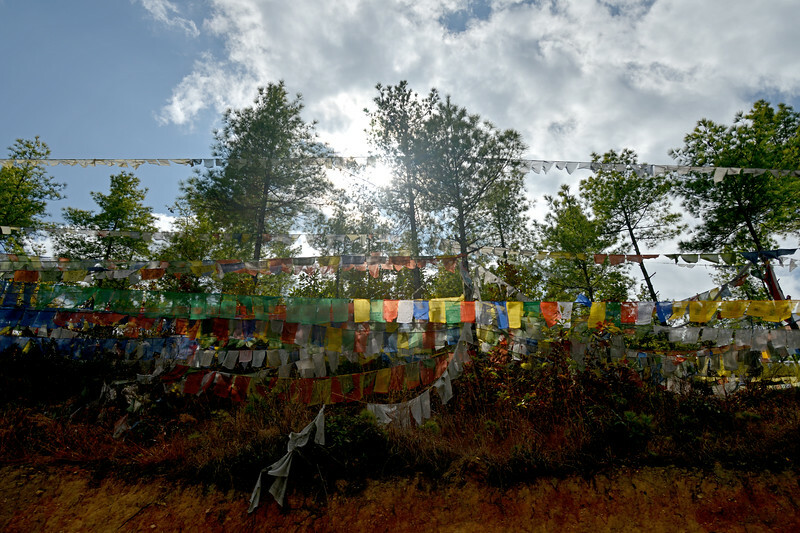 Hidden in the Eastern Himalayas between India and Tibet and as big as Switzerland, but sparsely populated, Bhutan is as pristine as it gets. 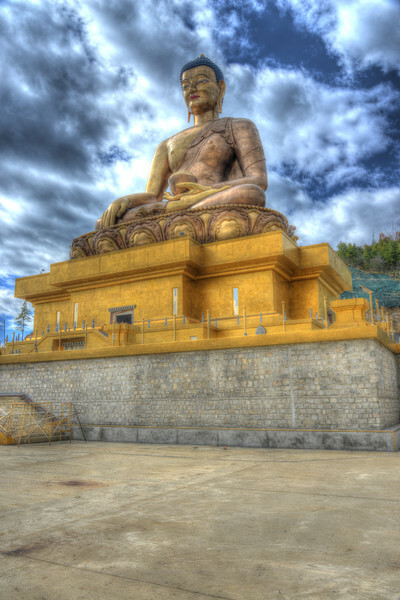 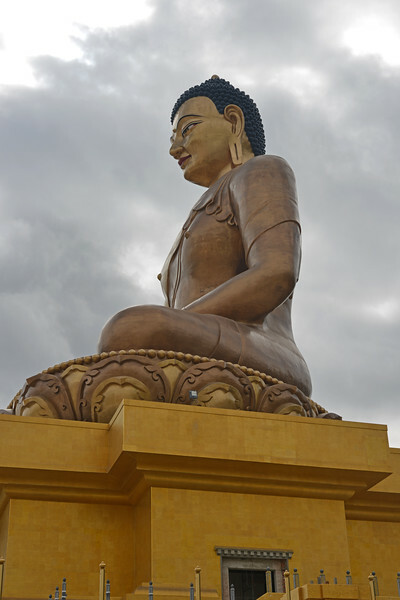 Buddha Dordenma, Kuenselphodrang, Thimphu, Bhutan. 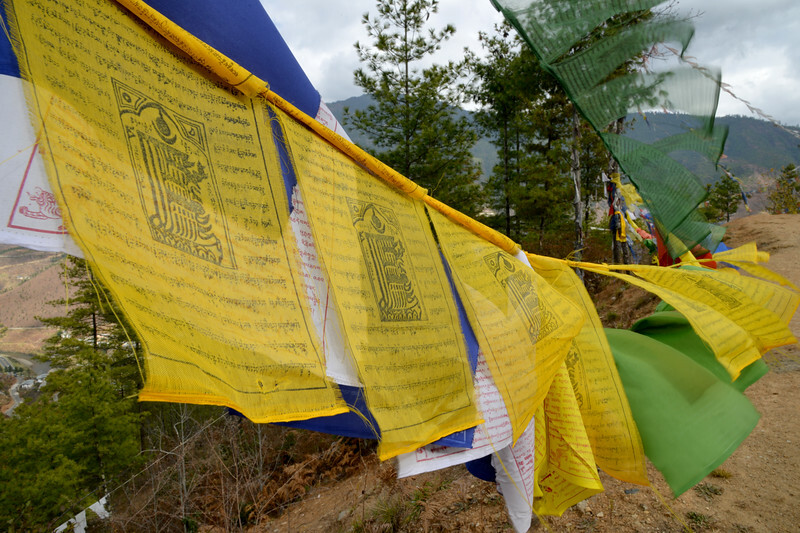 Prayer flags at Buddha Dordenma, Kuenselphodrang, Thimphu, Bhutan. 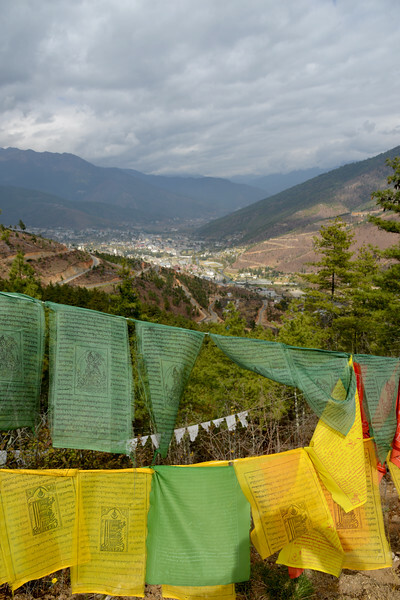 View enroute Buddha Dordenma, Kuenselphodrang, Thimphu, Bhutan. 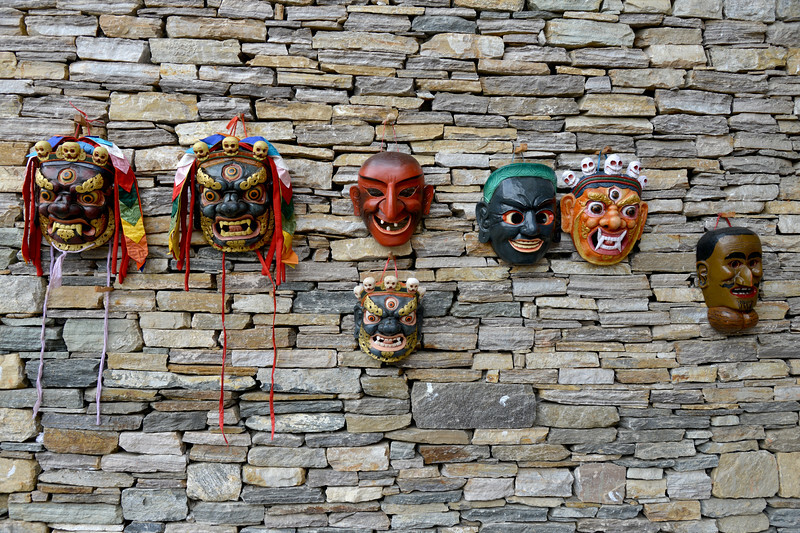 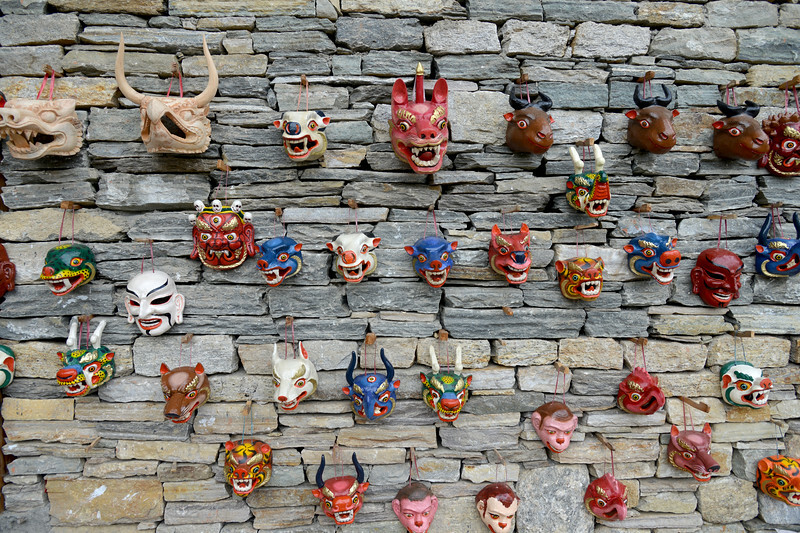 Beautiful hand crafted painted wood-masks made by an artist sitting outside the National Library and Archives and Foreign Language Library Block of Bhutan at Thimphu, Bhutan. 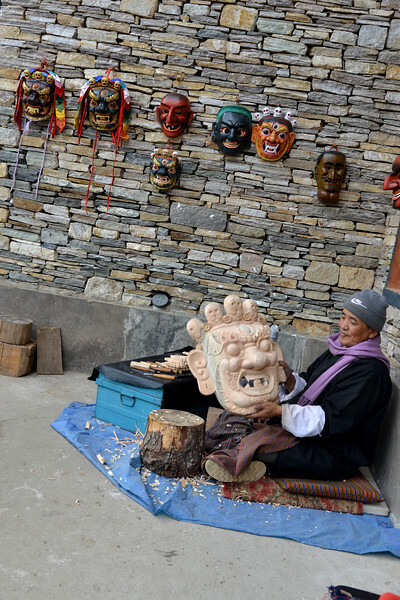 An artist sitting outside the National Library and Archives and Foreign Language Library Block of Bhutan at Thimphu, Bhutan handcrafting wooden masks. 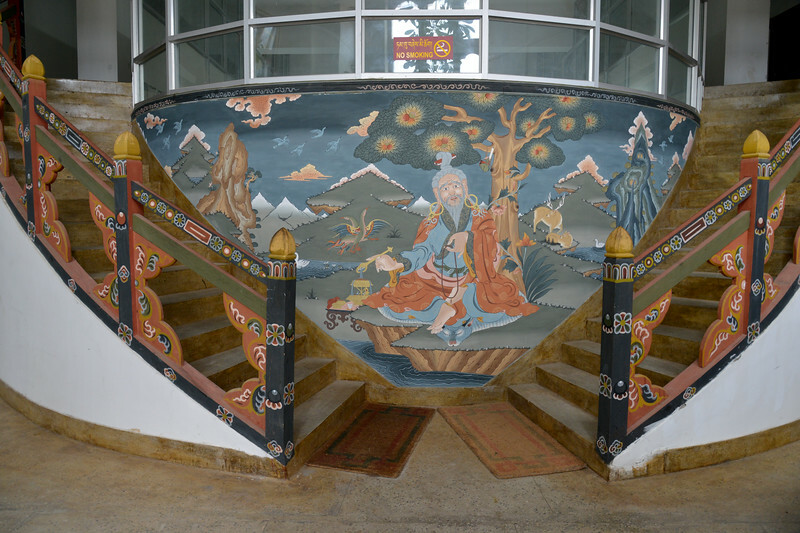 Inside the National Library and Archives of Bhutan at Thimphu, Bhutan. 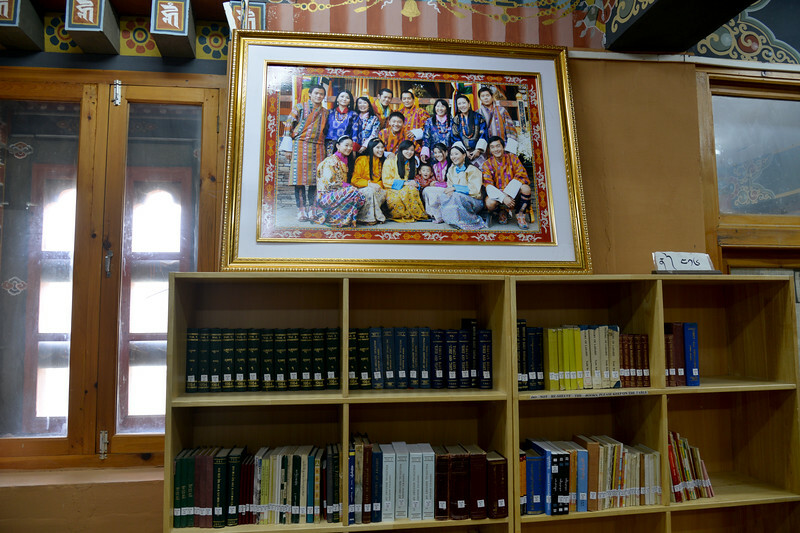 Inside the National Library and Archives of Bhutan at Thimphu, Bhutan. 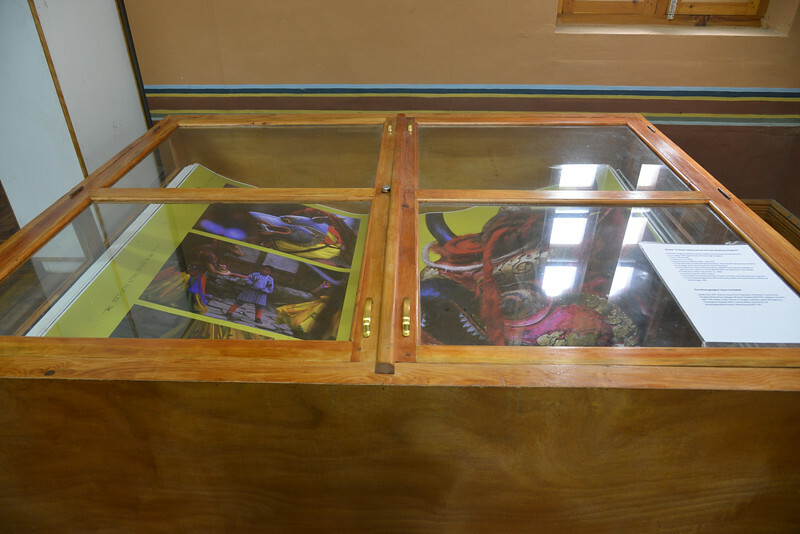 On display is one of the biggest books in the world. 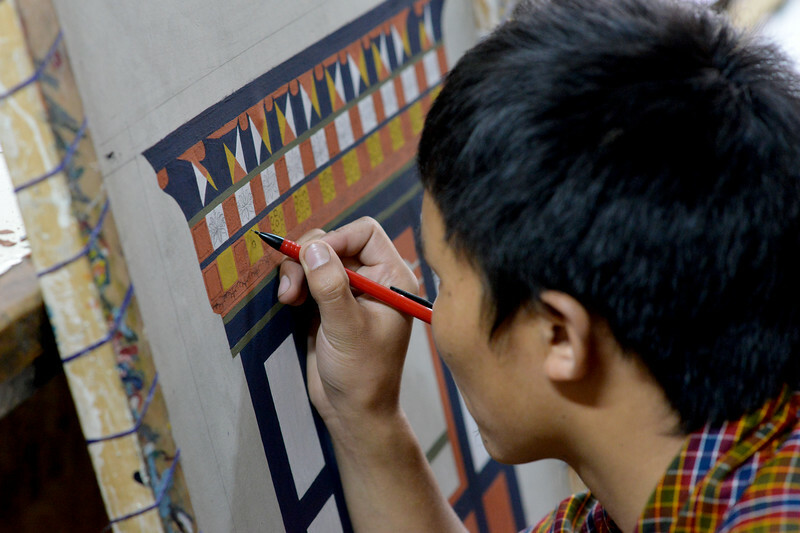 Michael Hawley didn't start out to make one of the world's biggest books but that's what he ended up with "Bhutan: A Visual Odyssey Across the Last Himalayan Kingdom", is 7 foot by 5 foot form. 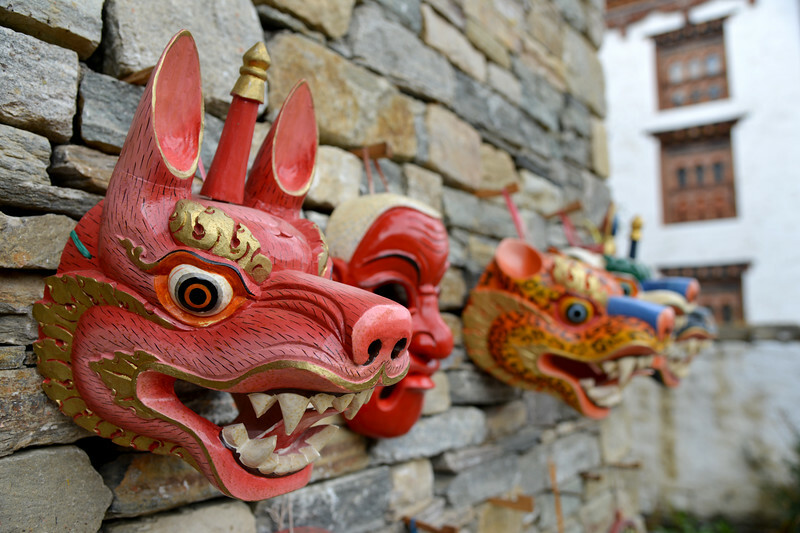 Hawley's research at the Massachusetts Institute of Technology (MIT) is what got him to photographically record his field expeditions. 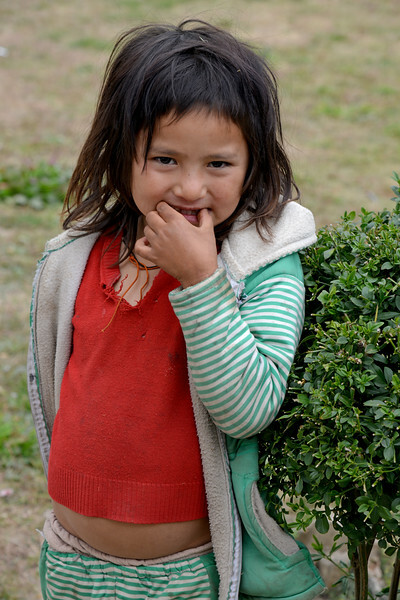 Little girl near the National Library and Archives of Bhutan in Thimphu, Bhutan. 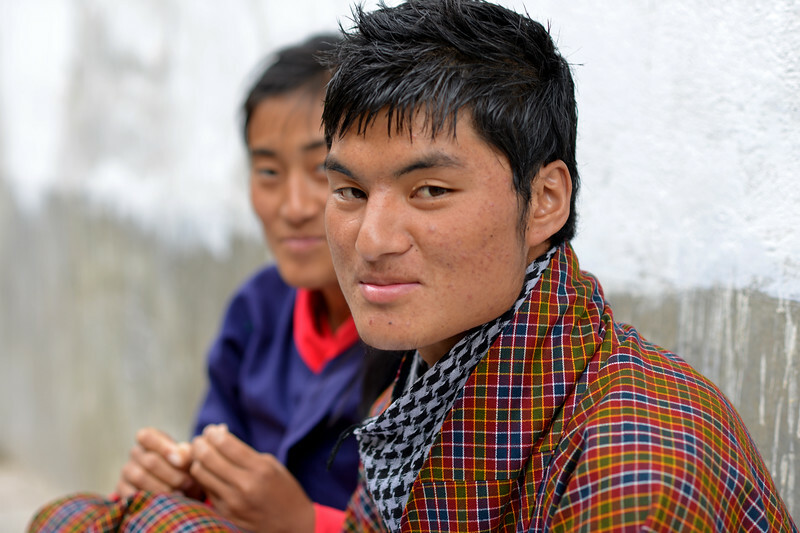 Students at the National Institute for Zorig Chusum, Dept of Human Resources, Thimphu, Bhutan. 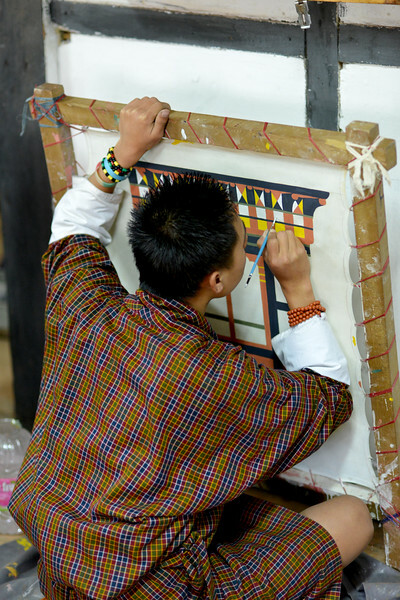 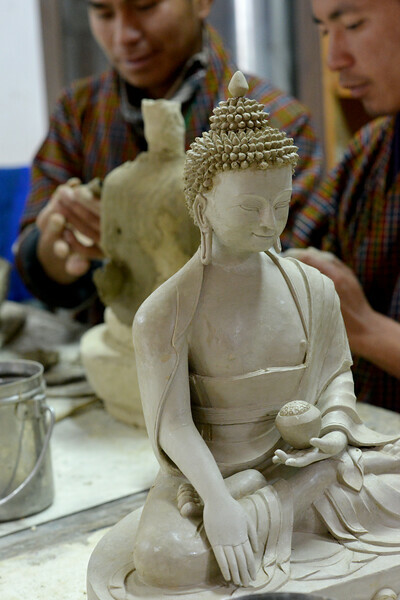 Commonly known as 'the painting school', four to six-year courses provide instruction in Bhutan's 13 traditional arts and students specialise in painting (furniture, thangka â€“ painted religious pictures, usually on canvas), woodcarving (masks, statues, bowls), embroidery (hangings, boots, clothes) or statue-making (clay). 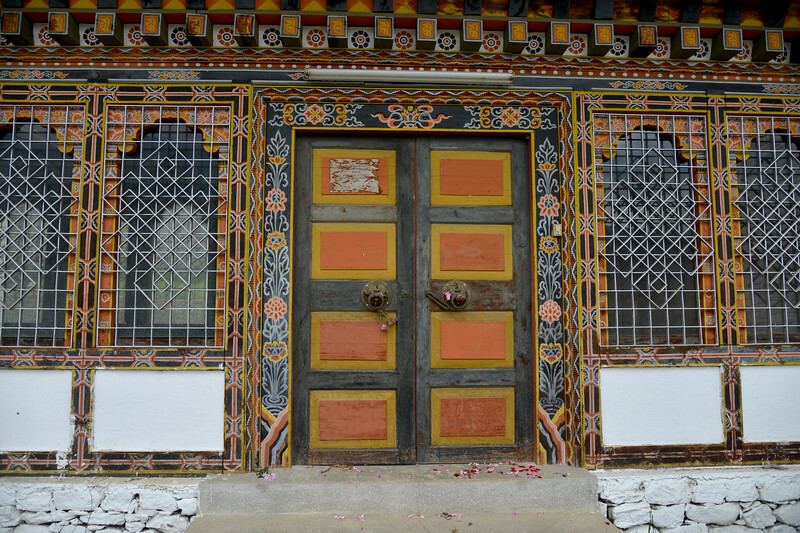 National Institute for Zorig Chusum, Dept of Human Resources, Thimphu, Bhutan. 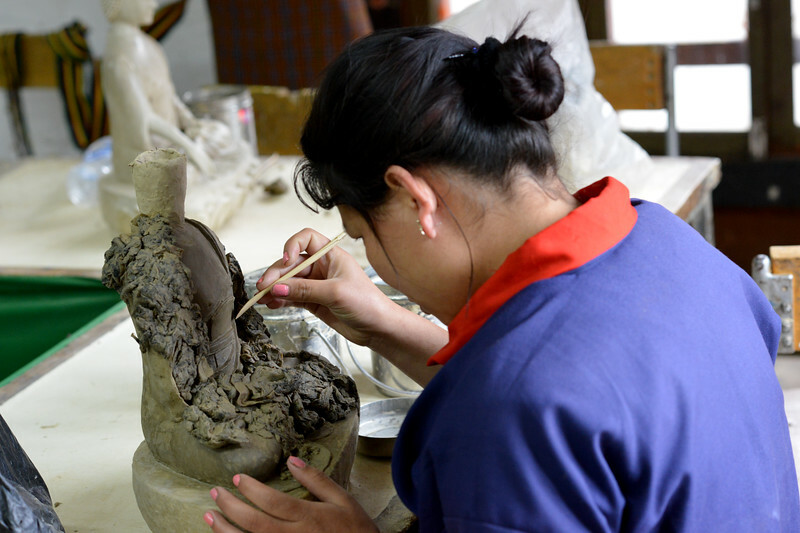 Students learning at the National Institute for Zorig Chusum, Dept of Human Resources, Thimphu, Bhutan. 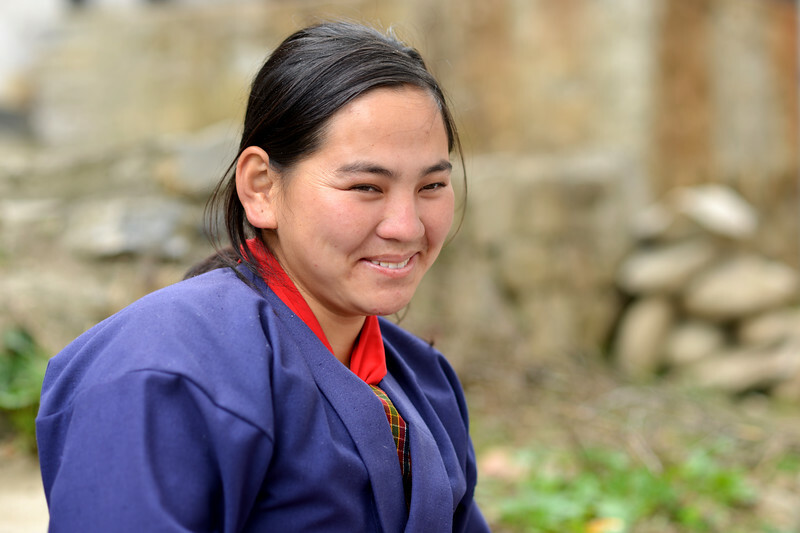 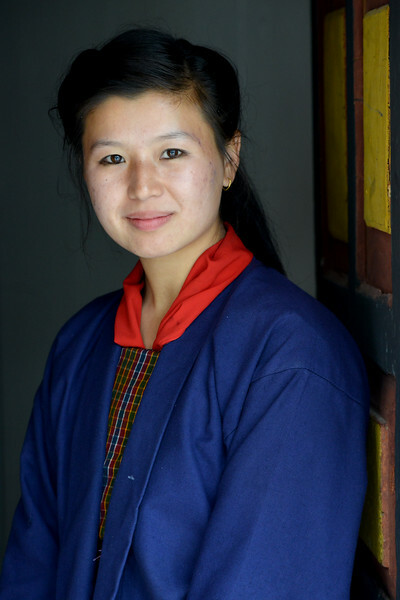 Young student at the National Institute for Zorig Chusum, Dept of Human Resources, Thimphu, Bhutan. 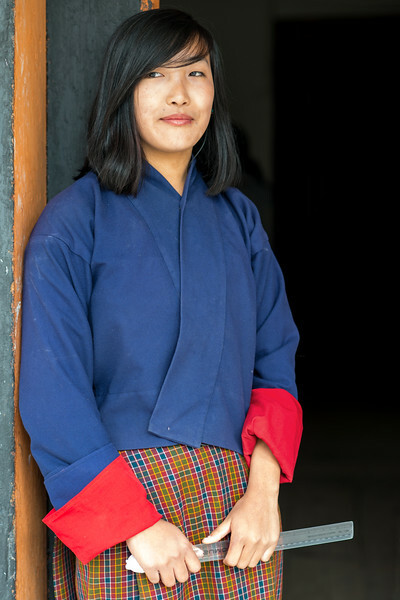 Smart young lady who is a student at the National Institute for Zorig Chusum, Dept of Human Resources, Thimphu, Bhutan strikes a pose at the entrance. 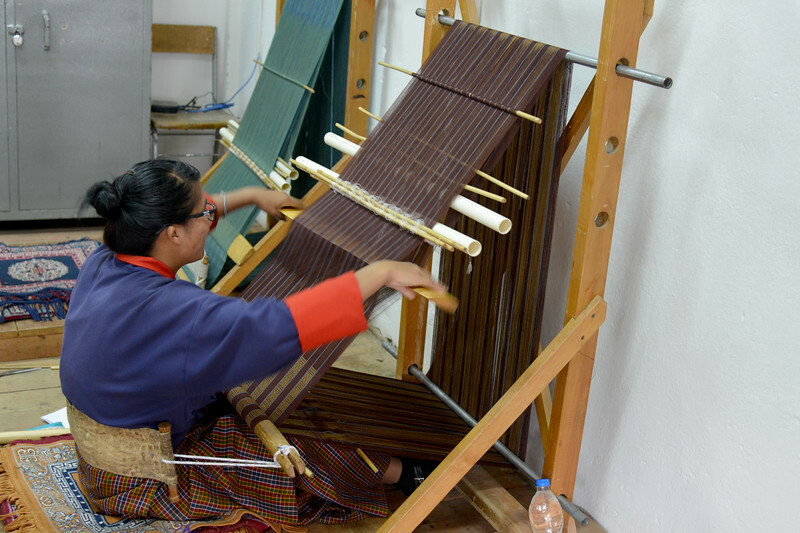 Students learning tailoring at the National Institute for Zorig Chusum, Dept of Human Resources, Thimphu, Bhutan. 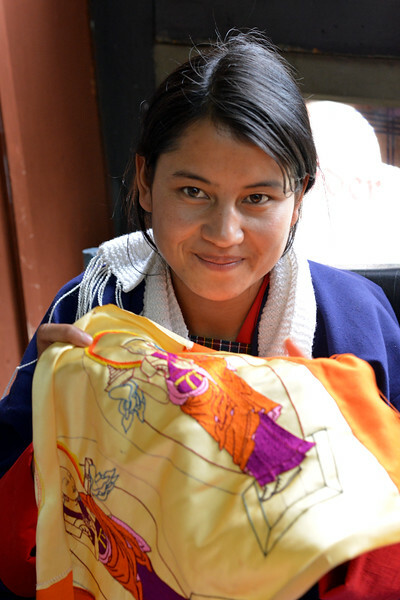 Students learning embroidery at the National Institute for Zorig Chusum, Dept of Human Resources, Thimphu, Bhutan. 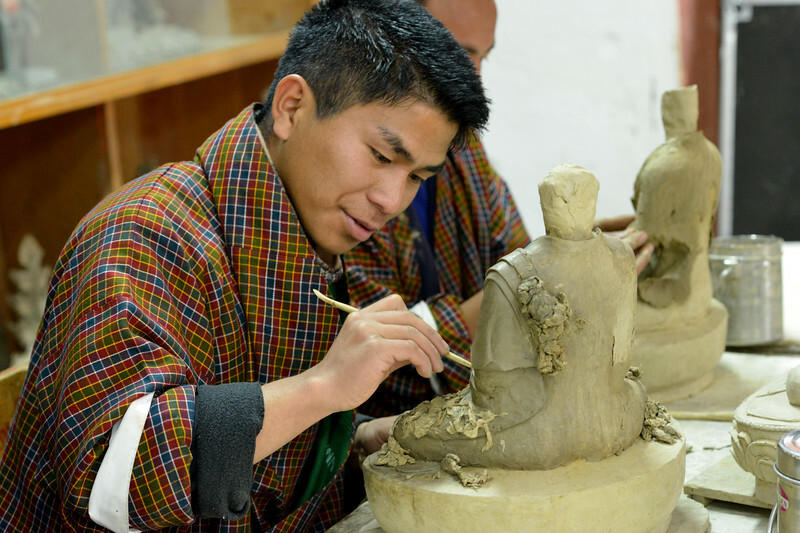 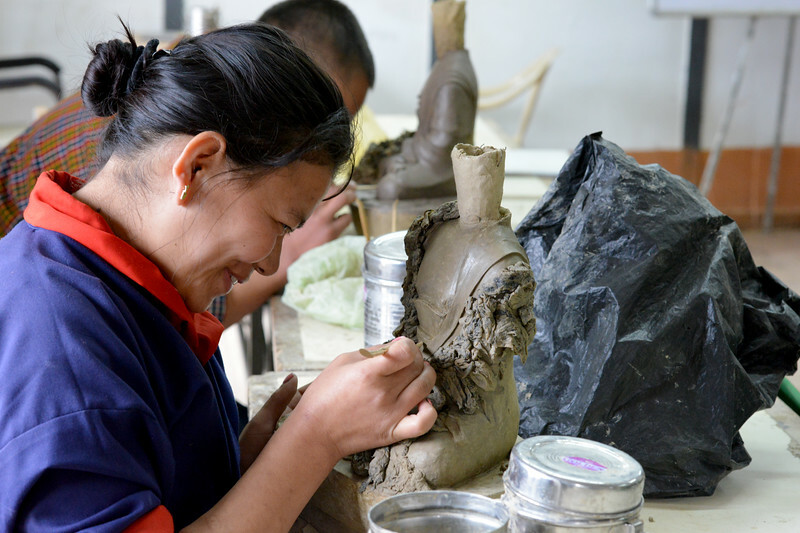 Students learning hand skills at the National Institute for Zorig Chusum, Dept of Human Resources, Thimphu, Bhutan. 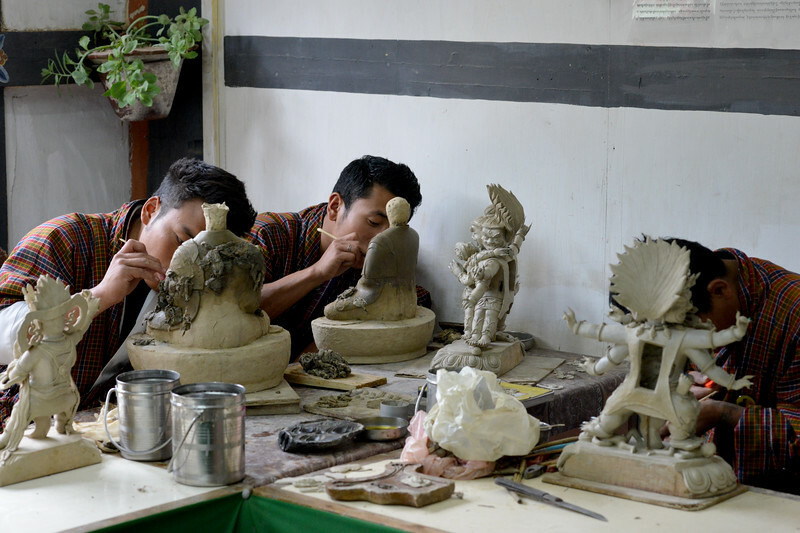 IT (Info Tech) Learning Centre. 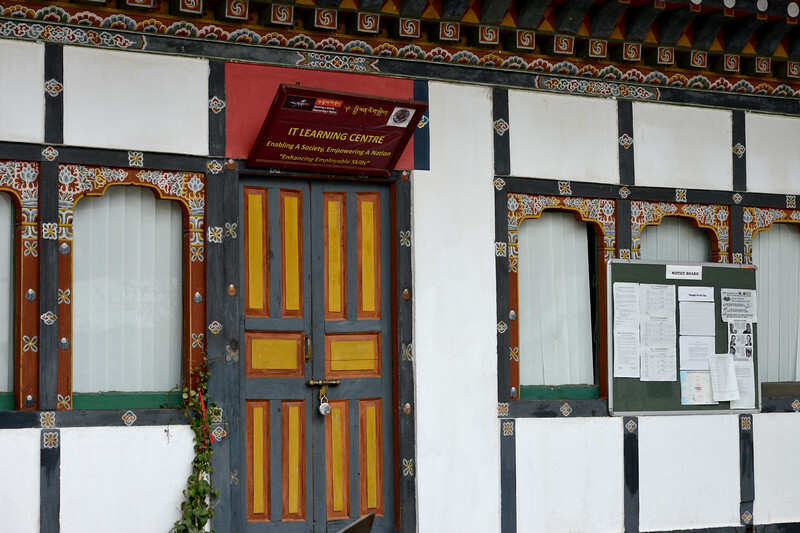 National Institute for Zorig Chusum, Dept of Human Resources, Thimphu, Bhutan.